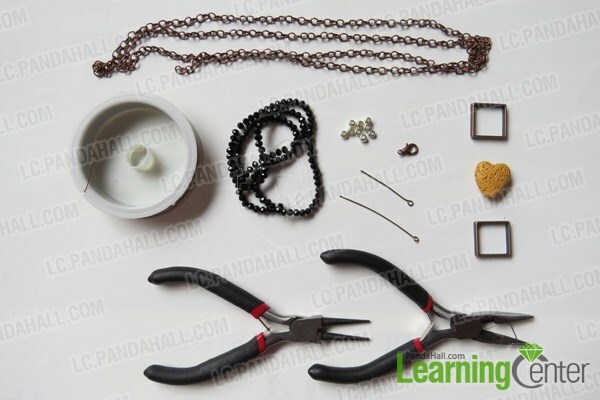 Summary: Here you will learn how to make an original necklace to give away to your mother on a special occasion,on Mother's Day. You might as well wear it yourself to prove what a proud daughter you are. 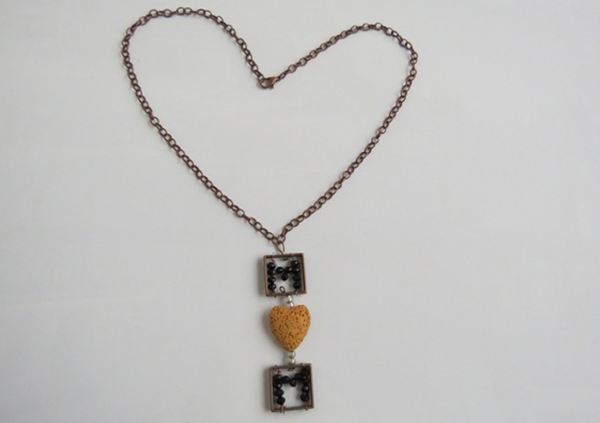 This beautiful piece of jewelry shows the “I love MOM” message to express your love for her. 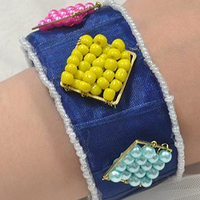 I have made the necklace in the pic for my own mom. I am very satisfied with the result and hope she loves it as much as I do. Let’s see the step-by-step instructions to DIY this necklace. 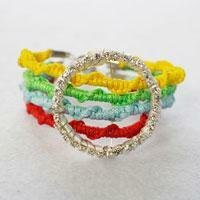 4the, pass the wire round the upper side of the ring and twist it in the bottom side. 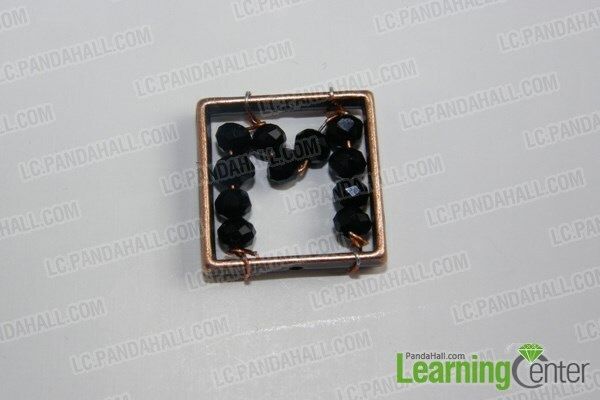 7th, slide four glass beads and attach the wire twist it in the inner bottom right side, repeat the same process for the second square ring. 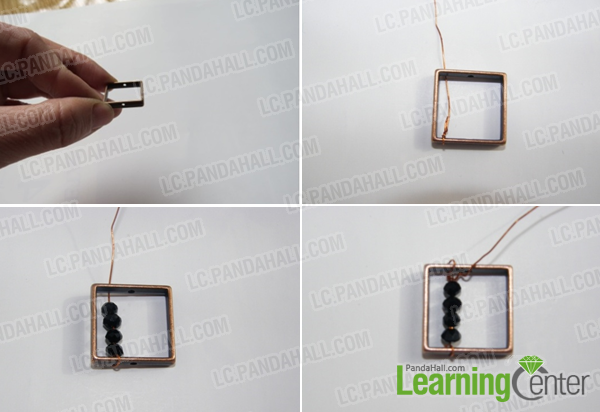 3rd, attach the eyepin to the bottom hole of the upper square ring, as shown in the picture. 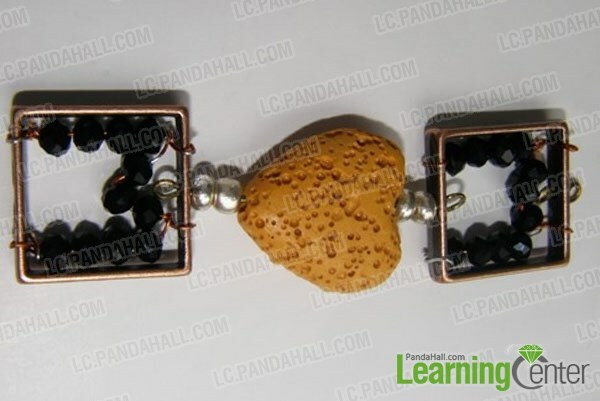 2nd, attach lobster claw clasps to the end of both two chains. Hope you enjoyed this tutorial. 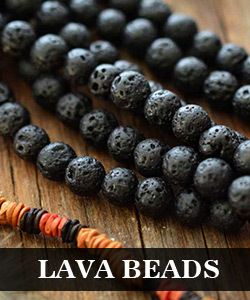 It is very easy to make it at home with very few items: if you do not have these particular items, you can use other beads.